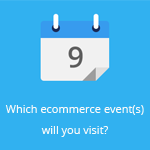 February 17, 2015 by Ecommerce News. About Statistics with tags Europe. 4250 views. Europe’s largest fashion retailers perform less well than expected. None of the online stores researched achieved a sufficient grade. Zalando and Asos scored respectively 29 and 30 points (on a scale from -116 to 116), whereas they would have had to score 58 points to pass the test. Dutch fashion retailer Wehkamp.nl scored highest, with 38 points. 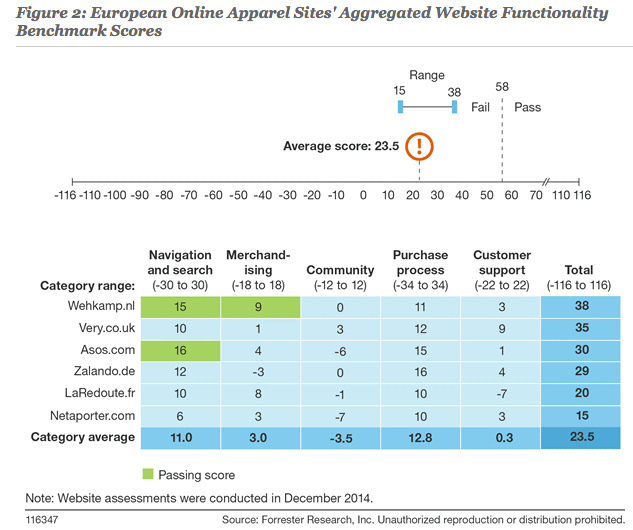 Emerce.nl wrote about the report, “Website Functionality Benchmark 2014: European Online Apparel Retailers”, which was published by Forrester last week. 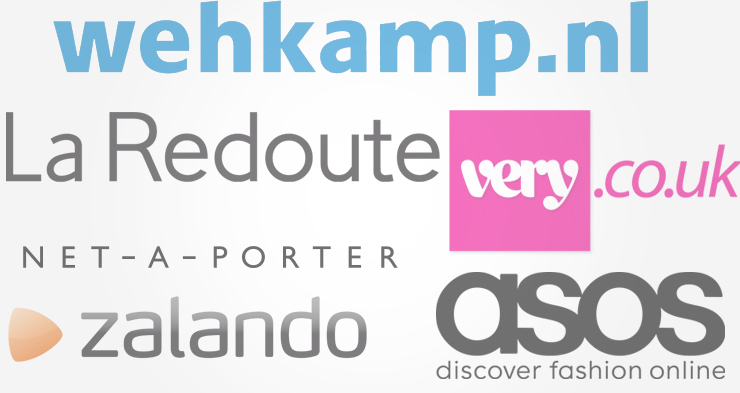 It looked at the performance of six Western European online fashion retailers: Asos.com, LaRedoute.fr, Netaporter.com, Very.co.uk, Wehkamp.nl and Zalando.de. Emerce thinks the results are surprising. “None of the online stores achieves a sufficient grade. The average score is 23.5, which is way below the 58 points they’ll need to pass the test.” And this is not due to basic things like navigation or design, but to more supporting factors. Most points were achieved in the purchase process and in the navigation and search segment. But in terms of community, almost all online stores underachieved. With three points, only Very.co.uk scored above the baseline. In this category Forrester looked if online retailers stimulate their customers to give feedback and how they link this information back to the website. Luckily for the stores in question, there was not only criticism, Forrester also gave some tips. 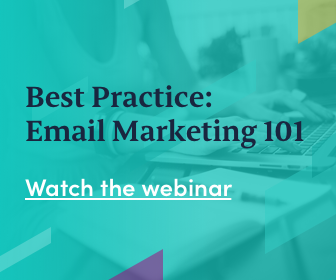 Among them where: “make more efficiently use of cross-selling”, “inform your site visitors about the stock status of the products that are being displayed”, “inform on forehand about the delivery options” and “implement customer feedback and reviews clearly on your site”.